Following Independence, enlightened urban theatre artists interested in continuing and preserving traditional theatre forms began to study and learn Bhavai from the veteran village performers. Bhavai movements, costumes, veshas, and form found its way into contemporary theatre as actors experimented with the form. Actresses began to perform Bhavai for the first time. 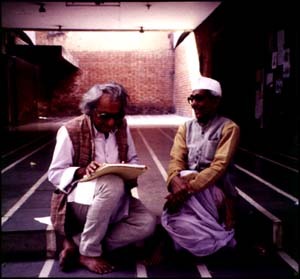 In 1982 At Darpana Academy of Performing Arts in Ahmedabad, a new play based on the traditional Bhavai vesha "Jasama Odan" was produced to bring Bhavai to the attention of urban audiences. The older artists led a one year training program to teach traditional Bhavai to contemporarty actors. At the end of the training period, the veterans performed with the younger actors. This proved to be a very popular experiment; the show ran continuously for four years in villages and cities all over India. 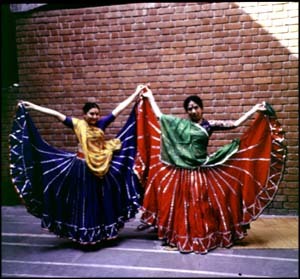 As a result of the tours, elements of Bhavai costume, story, dance, music, character, and plot began to show up in modern play productions, films, and on television.